In Aramar Suministros para el vidrio we know how important are the hardware and the qualities of the products that our customers need, because it depends on the final work is perfect, so we work every day to be able to give the best of services, being at the latest and with the best of qualities at the most competitive price. 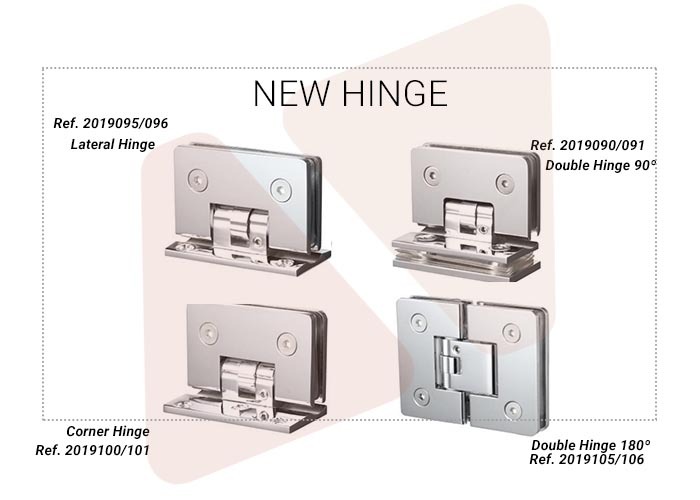 Continuing with the wide range of hinges available, Aramar adds new models to its product portfolio so that they can adapt to any need. Which are already in stock for those who need it, just ask us. They are suitable for 6 – 8mm thick glass. They have a maximum support of 30kg per pair. They have a design of straight lines, without bevel. They seek to adapt to any space, so they are adjustable. With different finishes in Shine or Matte. Do not hesitate and ask us by phone or email to place your order.